Metorik allows you to segment any resource (eg. orders, customers, subscriptions) by any of its attributes (total items, payment method, LTV). Additionally, you have the ability to save segments for re-use later and share them with your team. Segments can also be combined with regular and recurring exports. In this relatively brief video, I personally walk you through the segmenting system, demoing how it works and how you can get the most out of it. The fields available to segment by will vary based on the resource. 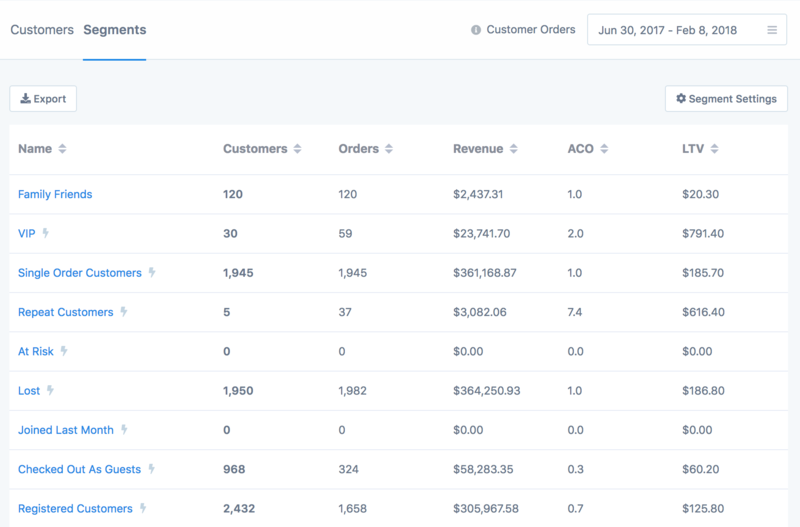 For customers, it includes fields like the total spent, order count, and last order date, while orders could be filtered by the products they contain, time they happened, payment method, and more. At the top of the segmenting system, you can choose whether the resource should meet all of the filters you create or any. So you could say ' total spent between x and y' or 'total spent greater than x'. You can add as many filters as you'd like by hitting the + icon on the right for each segment. Similarly, you can remove a filter by hitting the x icon. 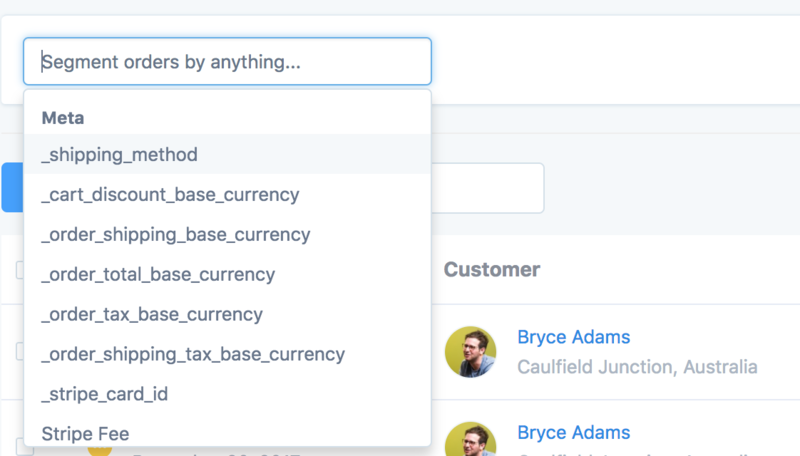 When segmenting orders and customers, you'll also be able to filter by custom meta fields your store has (more on this here). 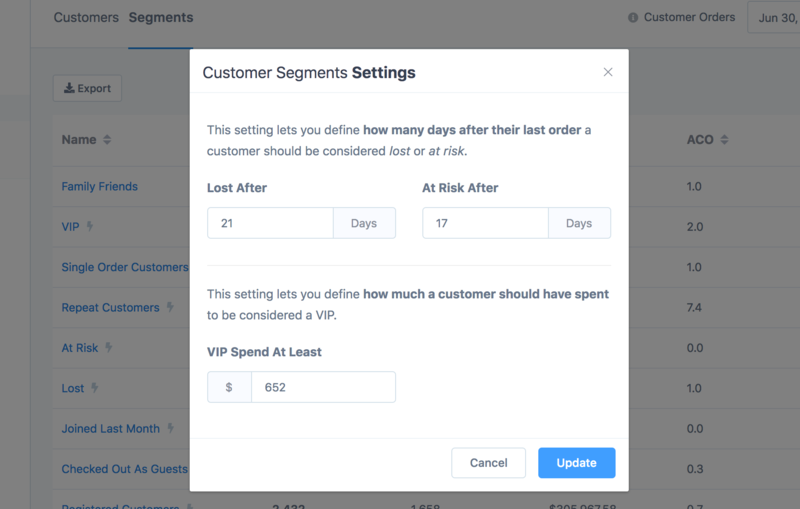 If you have a store with lots of data or are building complicated segments, you may want to disable instant segmenting, which can be done by hitting the lightning bolt icon. Additionally, you can use the Reset Filters button to remove all of your filters and clear the selected segment (if any). At the bottom of the segmenting area, you'll find the very useful button Save Segment button. After clicking that, you can enter a name for the segment, choose if it should be accessible to the whole team or just you. After you've created or selected a saved segment, you can update it, de-select it, or delete it. 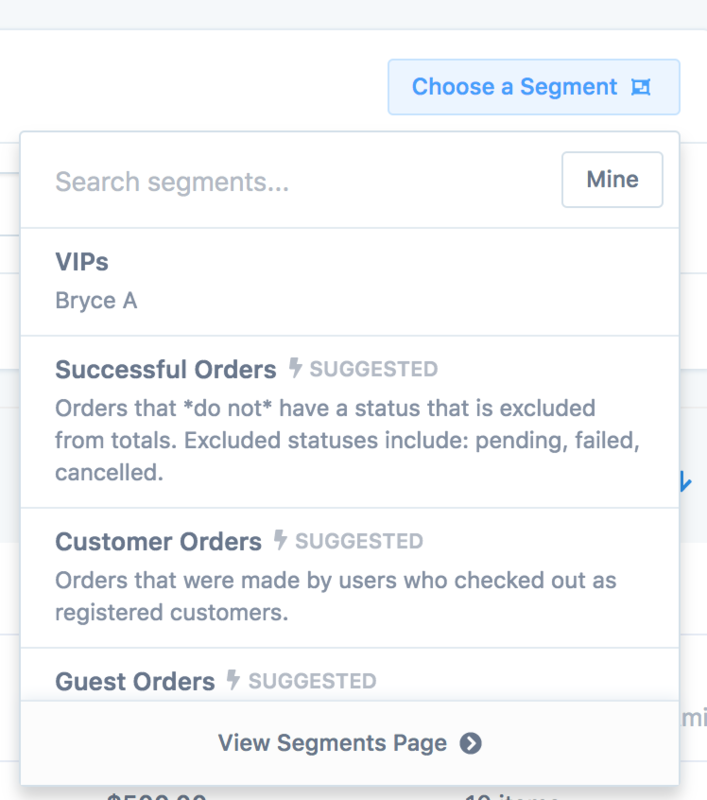 If you want to access any of your existing custom segments, or one of the suggested segments Metorik includes, you can do so by clicking the Choose a Segment button in the top right of the segmenting area. Simply click the segment you want to apply and it will be set. Clicking on a segment will take you through the resource page and apply the segment, allowing you to see the customers (or orders, etc.) that belong it. You can export all of your segments and their respective stats by clicking the Export button. Keep in mind, only team members with the analyst or higher role can view the segments page. When you select either a custom segment or a suggested segment, the URL of the page will be updated with the ID for it. You can then send the link to the URL to any one else on your team and the segment will be applied automatically for them. When it comes to exporting segments, you can do so on the spot or automatically on a recurring-basis by clicking the Export button on the resource page above the results table. To read more about exporting, read the doc here. As you use Metorik's segmenting system more often, you'll start to understand it more and find ways to use it to your advantage. Here are some tricks that I've come up with after using it so much, and some that have been suggested by customers (that even I didn't know about or plan for and I built the system). Do you have any segmenting tricks you'd like to share with other Metorik users? Let me know on the live chat and I'll get them added here.